At present, Jack is trying to dismantle an investment scheme centered in Las Vegas, but "trying" is the operative word. It's been a month since he put the face of the scheme behind bars, yet the scam is still going strong. As Jack tries to uncover who has stepped in as the new head, what minuscule evidence there is all seems to point him back to Claire Ramsey, an introverted PhD student studying at UNLV. 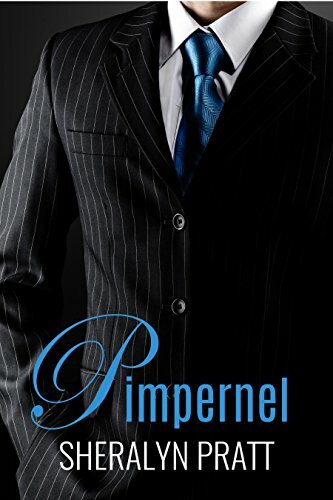 Pimpernel’s cover did not incite in me a longing to metaphorically open the cover (I read an ebook version). I couldn't resist the description of the author though (-->) so forge on I did. I'm glad. Between the covers is a fast-paced and interesting mystery. I found Pimpernel’s ancestral premise quite creative. The legacy, the identity, art, and secrecy of the Pimpernel persona being passed on from generation to generation. The history involved in this legacy provided some great gems in the story. It is an engaging concept. Pimpernel is well worth a read. You can figure out components of the mystery before they are laid out but not all. It didn't keep me from enjoying the story. Also, don’t miss out on the adventure of searching for slang and clichéd one-liners that a woman with an IQ of 176 would not likely say. I.e. “boom!” For me that was just a fun side adventure. I received a review copy in exchange for my honest and unbiased review. My thanks to the author and publisher.